How Do I Choose the Best Puffy Eye Cream? One should probably avoid using hemorrhoid cream to treat puffy eyes. A retinol and vitamin K eye cream. Allergies may cause puffy eyes. 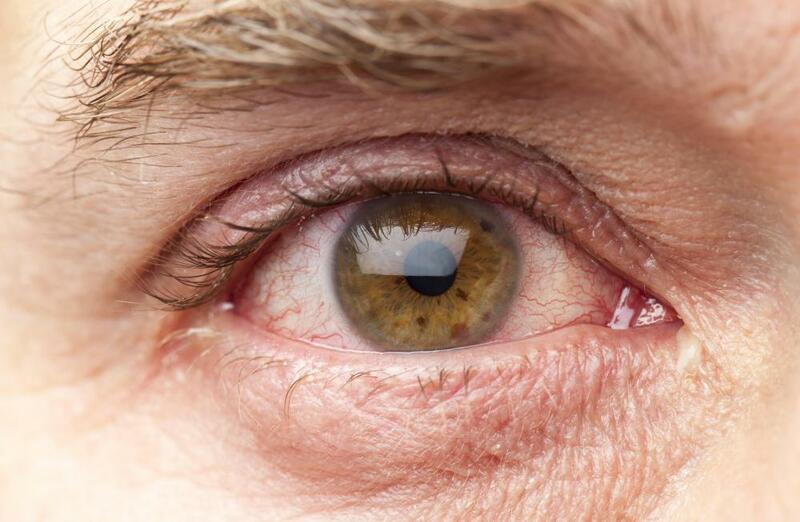 Swelling under the eye is sometimes caused by the natural aging process. 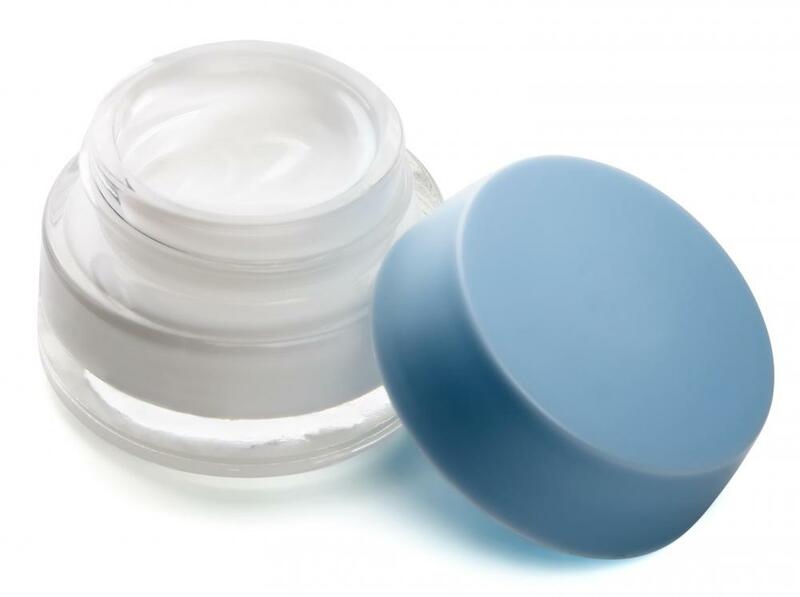 Puffy eye creams work by tightening the skin under the eyes and constricting blood vessels to help reduce swelling. Choosing the best cream requires looking at the ingredients to see if it contains caffeine or another type of tightening ingredient, such as phenylephrine. Carefully analyzing the ingredient list can also help avoid chemicals or substances that could lead to an allergic reaction in sensitive individuals. Caffeine is the most common tightening ingredient in most types of puffy eye cream. More expensive doesn’t always mean better. For mild, occasional puffiness nearly any cream with caffeine should help, but choosing a type with an application method that’s comfortable is important as well. Some eye creams come in a roller stick for easy, mess-free application. 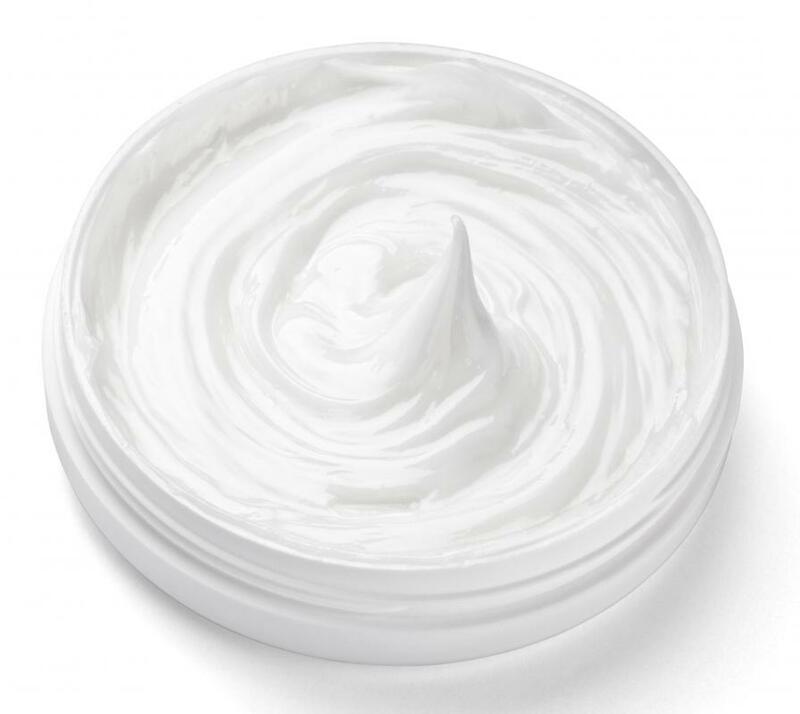 Always use a clean cotton ball or swab when taking cream out of a jar. The eye area is notoriously sensitive, and dipping your fingers into the cream can transfer bacteria from your fingers to the cream, possibly leading to irritation. Most kinds of puffy eye cream are formulated to be gentle on the sensitive skin around the eyes. Look for a formula that’s unscented and doesn’t contain alcohol, which can dry the skin under the eyes, leading to rubbing which could make puffiness worse. Moisturizing creams are best for those with dry skin, but choose a cream that’s labeled non-comedogenic, meaning it won’t clog pores, to prevent breakouts. A cream with a slight tint can help minimize the appearance of puffy eyes and bags. Choosing a shade just slightly lighter than natural skin tone creates a brighter appearance and helps disguise swollen eyes until the puffiness subsides throughout the day. Once the cream is applied, keeping the eyes untouched will help it work. Rubbing the eyes irritates them and wipes off the cream and tint. 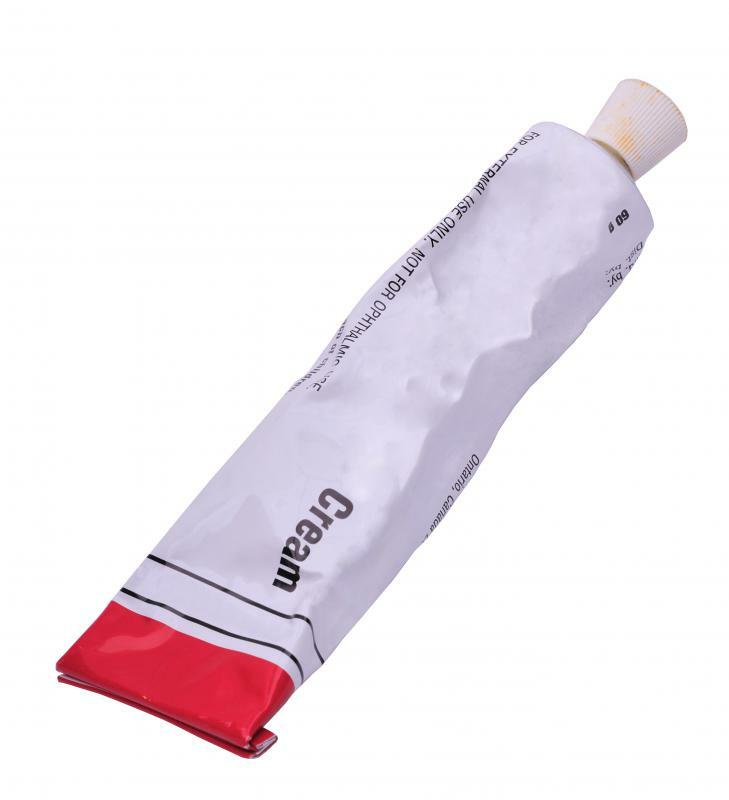 Using cold temperature and slight pressure when applying a puffy eye cream helps make the most of the product. Storing eye creams in the refrigerator until needed gives them a chance to chill, which will constrict the blood vessels around the eyes. Pressing gently under the eyes and on the lids when applying the cream helps drain the extra fluid that leads to a swollen or puffy appearance. While some people advocate using hemorrhoid cream as a puffy eye cream, it’s best to avoid this and just look for similar ingredients. The phenylephrine in many over-the-counter hemorrhoid creams can help constrict blood vessels and limit the amount of fluid near your eyes, but other ingredients can cause severe eye problems. In some cases, a puffy eye cream isn’t enough to clear up the condition. Genetics, aging, or an eye infection can all contribute to puffiness. People who experience unusual puffiness that doesn’t go away by midday should consider visiting a dermatologist or ophthalmologist to rule out underlying medical conditions, and talk about other treatment options. What Are the Different Types of Eye Cream Products? How Effective Is an Eye Roller for Puffy Eyes? What Are the Common Causes of Dark Circles and Puffy Eyes? How Do I Choose the Best Eye Cream for Men? How Do I Choose the Best Moisturizing Eye Cream? @spotiche5- You can make a natural cream for puffy eyes by mixing a bit of brewed tea with olive oil. After you mix the two ingredients, keeping the liquid in the refrigerator will give it a cream-like consistency. The coolness of the mixture will add an extra boost for reducing puffy eyes. @spotiche5- There are different types and brands of natural products on the market that treat puffy eyes. Many people prefer these products for various reasons, including having allergies, wanting to use earth-conscious ingredients, or being vegetarian. I have found that even though natural products don't have key chemicals that reduce puffiness, they have natural ingredients that do the same. Using them also gives you the peace of mind of not using unnatural additives on your body. There are several ingredients that you should look for in natural products that target eye puffiness. Cucumber oils or extracts are the best, because cucumbers are well-known for their effectiveness in reducing puffiness. Fruit extracts and vitamins are also good ingredients for the delicate skin around the eyes. Some natural puffy eye creams also have aloe and tea extracts, which are also soothing and refreshing to use on puffy eyes. I often have puffy eyes in the mornings, but I also have sensitive skin. I'm afraid that I will have an allergic reaction to the ingredients in puffy eye cream that would be worse than having puffy eyes. Are there any types of natural products that helped to reduce puffy eyes?